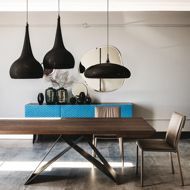 The PREMIER collection, by CATTELAN ITALIA, is a family of modern Italian dining tables that combine contemporary and industrial design through their use of material and shape. 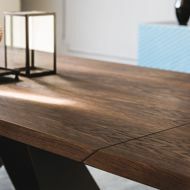 The PREMIER table comes in several different shapes and sizes, with the ability to choose from a variety of tops in ceramic, wood or glass to fit your personal taste. 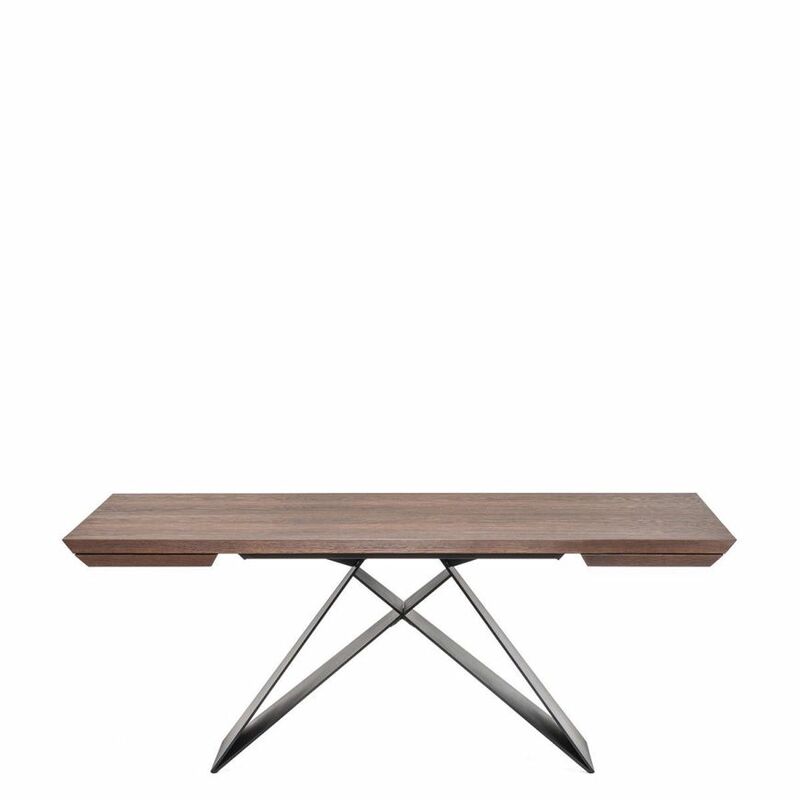 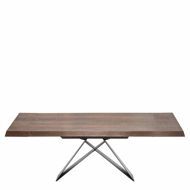 Many of the top options are also available with or without Cattelan’s “drive” function, allowing your table to extend for any occasion. 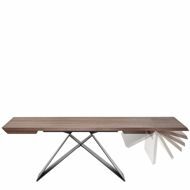 This Wood model features two 15" leaves that flip under each end of the table.